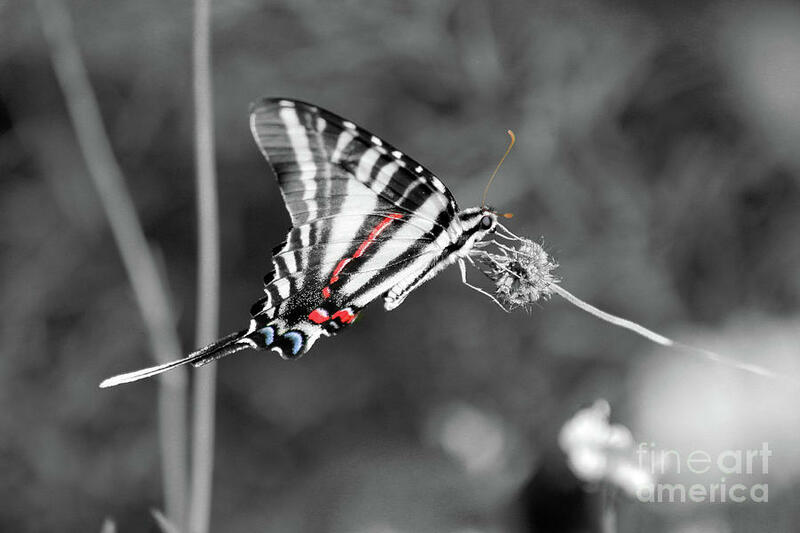 Zebra Swallowtail Butterfly 2016 is a photograph by Karen Adams which was uploaded on July 25th, 2016. 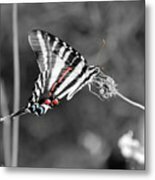 Well, of course, a Zebra Swallowtail Butterfly makes one think in terms of Black and White . . . so this is a little play with an image of a really pretty butterfly. 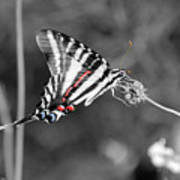 I thought it would be fun to show the bits of red and blue that actually are on the wings of these butterflies. This image is also available in complete black and white and in color! You can see all three versions in my Series Gallery. 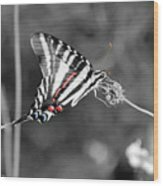 There are no comments for Zebra Swallowtail Butterfly 2016. Click here to post the first comment.